Today people have more ways and places to shop than ever. So if you have your own e commerce business and want people to buy online from your website then try to grab their attention as fast as you can and at the same time should provide the best customer experience possible. So, now you may be thinking that what you need to do to make the overall online shopping experience a pleasant one? There are some simple ways of improving customer service. Let’s discuss the 7 easy ways to improve customer service on your website that will make your customers coming back to you again for more! 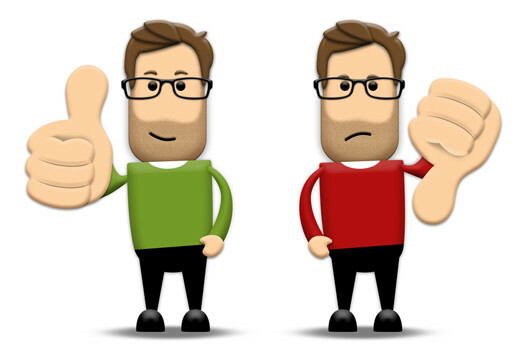 Firstly, you should not underestimate the strength of high quality product images and videos. Great images can make your shoppers feel like they are picking up something from a brick and mortar shop and videos will help customers to see all the aspects of the product. You should upload images for each and every product. Besides that, try to integrate some of the creative elements in the image like branding, an attractive catch line or any other things you can think about to make your offerings different amongst your competitors. Apart from that, try to do something else to make the overall online shopping experience more real. For example, if you are offering flower vase, just next to the image of the vase, try to display the same flower vase filled with beautiful flowers and placed on a table to create the overall impression. Just have a look at the above mentioned screenshot. 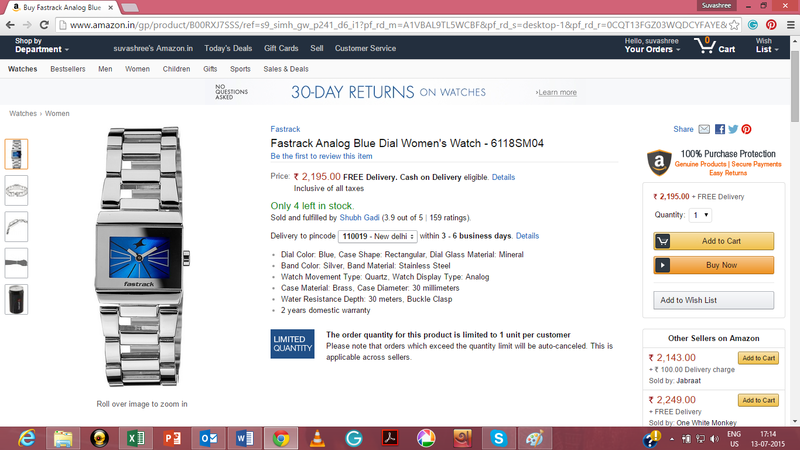 In Amazon, the image used for Fastrack watch is of high quality and giving an idea of how the watch exactly looks like. As per Forrester report, 44% online shoppers say that getting instant assistance from a live person in the middle of online purchase is perhaps one of the most important services your website should offer. REVE Chat makes this really easy by offering online assistance to the website visitors thus making the overall shopping experience a pleasant one. With REVE Chat, website visitors can live chat directly with the support agents for instant assistance thus facilitating improved conversion rate. It helps to provide the best customer experience possible. By searching a specific product on the search engine, a customer may land on your website, but while checking the product details, she may find that it’s not exactly the same product what she is looking for or because of high product price, she may leave your website. In all of these scenarios, you should try to provide some more similar products related to her searches, and you never know she may like those and you may get more orders even with higher value. You can place this similar searched products either in the upper or lower part of the product description. The upper part is ideal for displaying advertisements of popular products, whereas the lower part is good for displaying similar searched products. 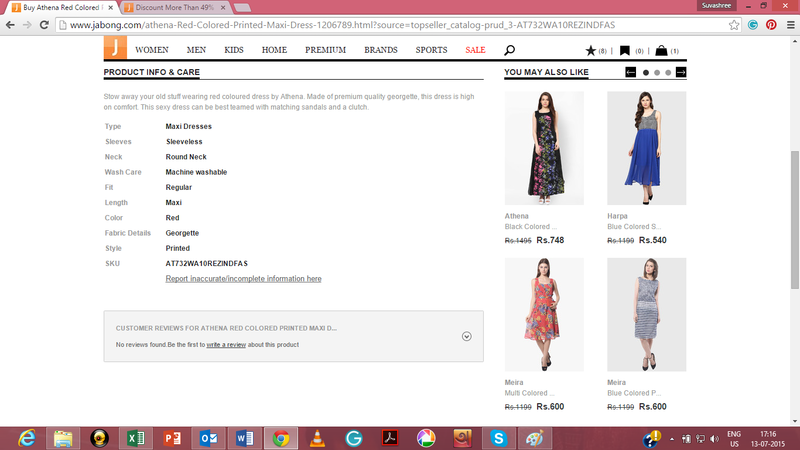 Here have a look at the Jabong’s website. Here based on the searches, other images of the related products are given in the right side corner of product info. In this way, you will be offering more options to your customers. It’s an excellent way to enhance customer experience on your website. Try to add all the details of your product clearly just beside the product image. You may think that how to create an attractive one in a short time? The smartest way will be to get ideas from your competitors. For this type your product type on google and you will get similar websites. Then just pick up the top 10 best search results and start analyzing each one of them. From there you need to choose some of the best ideas and apply those in creating your own product details page. On your product page, upload images of your offerings from all angles to display the all-round vision of the same. Upload close up images if you have to display some specific elements of the product. There are web page heat map tools like Crazy Egg which can help you to identify the highest clicked parts of your page. Customers always look for some assurance or guarantees before making any online purchase. The reason for this could be they are not sure about your offerings and have doubts on whether your product will be able to meet their specific needs or not. To deal with this kind of situations, here you need to place a zero risk commitment in your product description page. For example, ‘WE OFFER 30 DAYS FREE RETURN/EXCHANGE SERVICE’. It is no doubt one of the most attractive statement for buyers and also shows your confidence on your offerings. Give special attention to the packaging of your products. Professional and elegant packaging not only will ensure that the product won’t get damaged during shipping, but also make customers feel that your product quality is really good and worth the money. For example, people face difficulty in buying shoes online because they get confused about the shoe size. Therefore, your customer will be happy if she gets a foot measuring scale in the shoe box accompanying the shoes which she purchased from your website. There are several ways to use social proofs for influencing visitors such as social following, ratings and reviews, expert mentions, testimonials and many more. For social following, ratings, likes and so on, you first need to create company pages in all popular social media channels like Facebook, Twitter and add the buttons of the same just beside your product image so that the website visitors directly like or share their favourite products from the product page itself. Apart from that when a new customer will see that your products have so many likes or ratings then he or she may gain some confidence in doing business with you. So just follow these easy steps and see the difference!